There are many signs that you may need rodent control near Crystal Lake, such as random holes in your fabric or scratching noises in your walls. These signs and more all point to a possible mouse infestation. 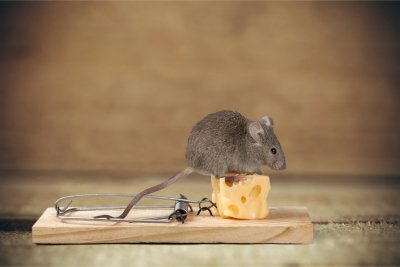 If allowed to continue without professional mouse extermination , you could be looking at costly home damages and even potential health problems. If you have been finding tears in your furniture upholstery or clothes, and you cannot explain them, then you may have a mouse infestation. Mice and other rodents use fabric materials to build their nests. They may supplement this material with soft, non-fabric materials like cardboard, grass, or insulation. Always check dark, overlooked areas, such as an attic or basement, for possible nests. Another sign you need mouse control could be in the form of gnaw and claw marks on your wooden furniture or hardwood flooring. Mice have been known to chew small holes in wooden desks or cabinetry. This allows them easy access to food stores in your pantry. If you see these marks or evidence of food tampering, then consider calling your mouse exterminator. You may also see holes in cardboard boxes. Mice can use this material for nest-building, as well. Keep your storage items sealed in an airtight plastic container. One mouse can leave over 50 pellet-shaped, dark droppings in one day. If you find evidence of droppings, either in one location or all around your home, call for mouse extermination right away. Mice can breed very quickly, and you could be looking at a mouse infestation within a few days or weeks. Mice are typically nocturnal creatures, so if you hear soft scratching noises at night, you may be looking at a mouse infestation. You will most likely hear these scratches inside your walls or in your attic. Mice prefer darker areas where humans do not frequent often.